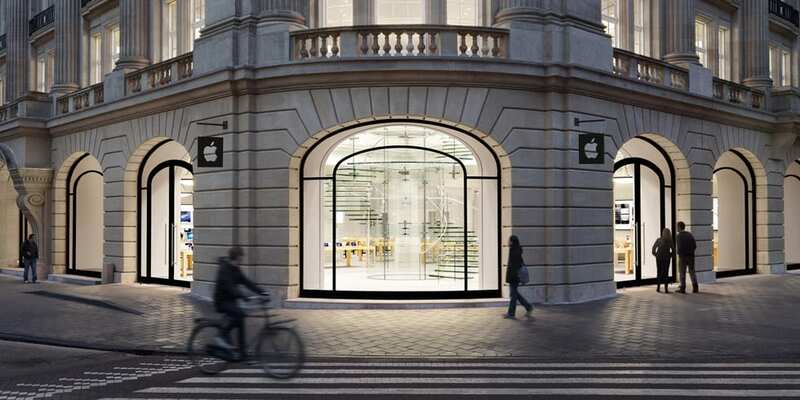 Apple will close 20 of its international stores in the coming months to readjust to the new needs. More and more establishments have to go through a restructuring due to the increase in the number of visitors interested in trying the products of Apple. "Every week, ten million people visit Apple stores," said Tim Cook, CEO of the company. For now do not know what works affect cities. With these renovations pursued expand the space of local capacity to have more visitors. Similar works have been carried out in the company's iconic stores located in Third Promenade (Santa Monica, California) and Palo Alto. Tim Cook also reported that during the last quarter was inaugurated four new Apple stores in China and that the company plans to open more stores in China. Finally, in the coming months, since we report that Apple will open 30 new stores, "international primarily outside the United States." It is clear that Apple intends to spend part of their cash in their international expansion. Article Apple to close 20 stores readapt to the increase in visitors has been originally published in News iPhone .